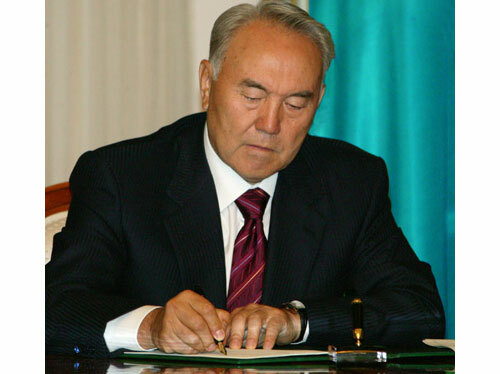 Kazakh President Nursultan Nazarbayev signed a decree appointing Mukhtar Ayubaev as Commander of the Republican Guard. Ayubaev was dismissed as Chief of the Presidential Guard Service, presidential press service reported. "Mukhtar Ayubaev was appointed Commander of the Republican Guard of Kazakhstan, he was dismissed from the post of Chief of the Presidential Guard Service of Kazakhstan; Shabdarbayev Amangeldy was dismissed as Commander of the Republican Guard of the Republic of Kazakhstan and dismissed from military service due to reaching age limit in the military service," the text of the decree, published on the President's official website, says. Under the decree, Anvar Sadykulov was appointed as Chief of the Presidential Guard Service of Kazakhstan.